Opinion based decision making is no longer the way today. A large body of data is available in every field, and a huge push towards extracting insights from it is being made by individuals and corporations in order to make data-based decisions. There are a variety of tools available for one to derive relevant conclusions out of raw data. Once such technique is visualization, which reveals insights out of the data, allows visual data analysis and enables quicker decision-making. 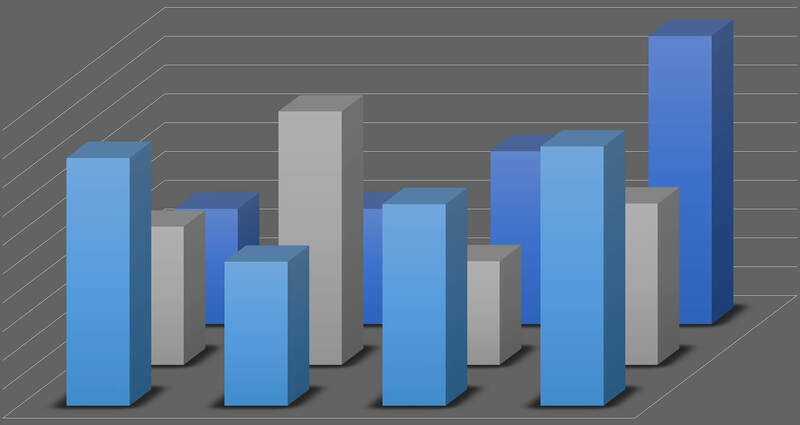 ‘Tableau’ is one such Business intelligence and data visualization tool. It is very popular and intuitive to use. We at Srijan went ahead and used the Tableau-Public version for building some quick visualizations. 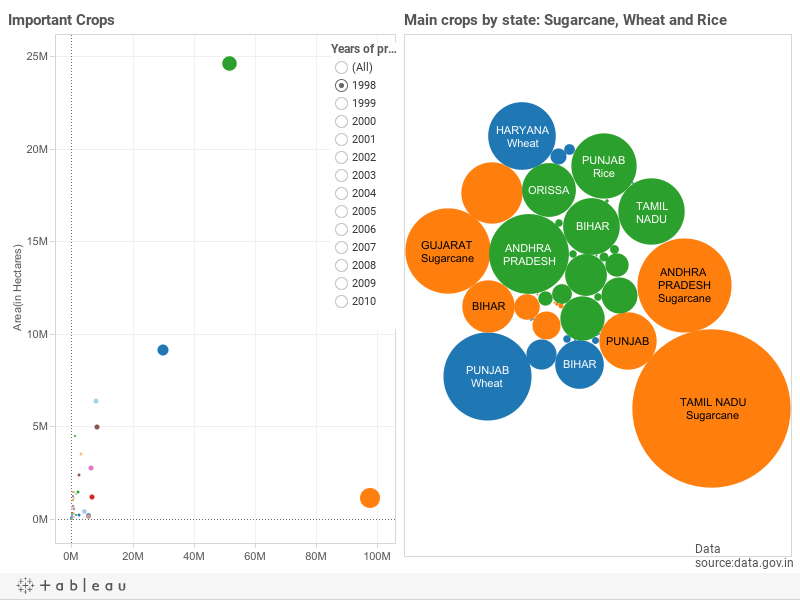 The dashboard above uses data.gov.in as the source and attempts to understand the key trends in crop production in India over the years. 1) What percentage of total production is accounted for by these three crops versus the area they occupy? 2) Are there some other crops where the ratio of production to the area is much higher than these three crops? 3) Why are only these three crops produced on a large scale? 4) Are there commercial reasons behind the production of these crops or are they produced mainly for local consumption? 5) Could we map import/export data to make more sense out of this data? 1) Are the land holding sizes impacting the shifts in states producing these crops? 2) Has the area under the production been impacted by urbanization? 3) Are there specific districts within a state that contribute most to the production? 4) Have the districts/areas with the best rainfall produced the most? 5) Have state-specific policies impacted the production of specific crops? The next set of dashboards and visualizations will attempt to answer these questions, and would probably raise more questions unless the story is complete. Watch out this space for more on this story-building through some more interesting visualization.